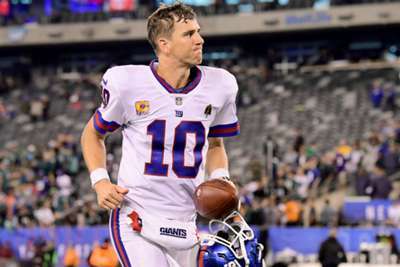 New York Giants wide receiver Sterling Shepard still believes in Eli Manning. 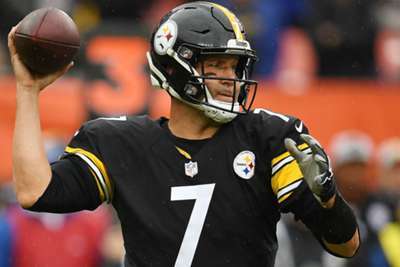 The 15th-year quarterback has struggled throughout New York's 1-5 start and some players have reportedly become frustrated. But Shepard told NJ Advance Media he does not believe that is the case. Manning has completed 68.7 per cent of his passes and thrown six touchdowns along with four interceptions in six games this season. Shepard said the team have done a good job of "keeping everything together" in the locker room. "We have total faith in him [Manning]," Shepard said. "We picked him as our starting quarterback at the beginning of the season and we're going to ride with that." The Giants will face the Atlanta Falcons in week seven action on Monday.